Each year, hospital emergency rooms see more than 95,000 baseball-related injuries. Many consist of minor sprains or muscle strain, but the most serious injuries come from getting hit with a baseball or a baseball bat, particularly on the head, eyes or chest. Baseball leads the way in sports injuries to the eyes. A conk on an unprotected head with a baseball can cause a concussion or intracranial bleeding. A blow to the chest can be particularly dangerous to children, whose chest walls compress more easily. 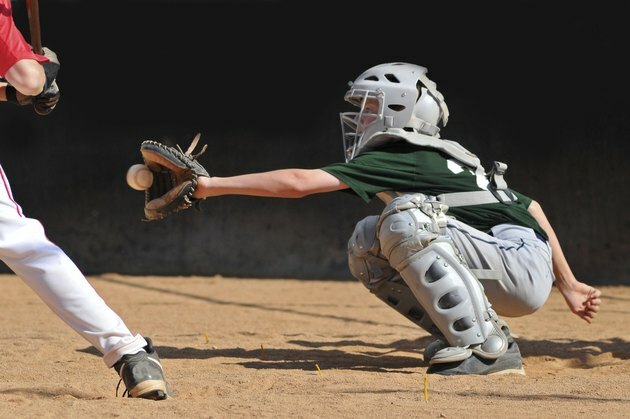 On the average, three to four people, usually children, die from baseball injuries annually. In baseball, you need to keep your eye on the ball to get a runner out and to stay safe. What Causes Eye Capillaries to Burst?